The Alberta Legislature Building was completed in 1913. 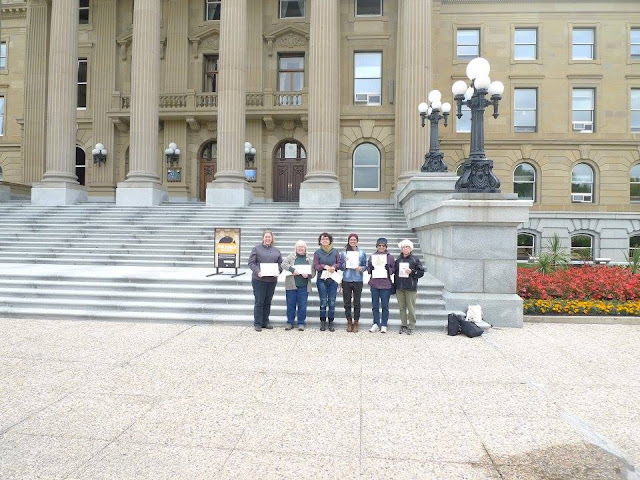 It stands on a site which was once a location for Fort Edmonton, a fur trading post. How romantic when you think about the history of this site! 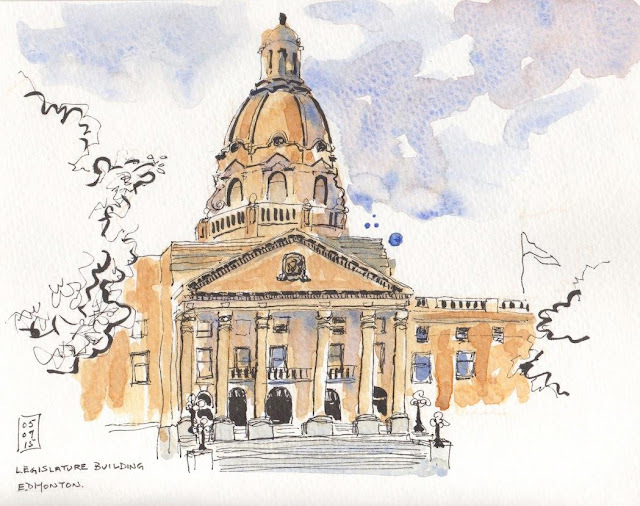 This was the venue for the September sketchcrawl of Urban Sketchers Edmonton. Our small group of intrepid sketchers were windblown and frozen by the end (13 degrees C not counting windchill) but were lucky to get a couple of sunny hours in. This sadly could be the last outdoor sketch meet for the year. Copic multiliner, Pentel Brush Pen, watercolour, on Strathmore 400 series Watercolour Journal 7.75”x9.75”. 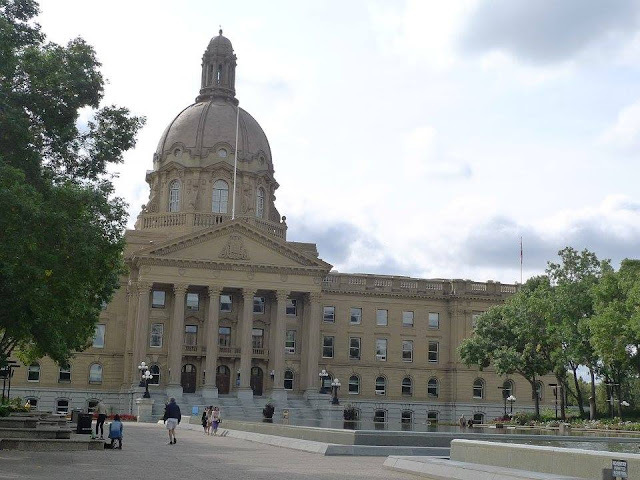 For more on The Alberta Legislature.